I’ve been asked often: why bother? Honestly… one good answer is to inform other atheists, often those in hiding (or in the closet) that they are not alone and others out there think the same way they do. 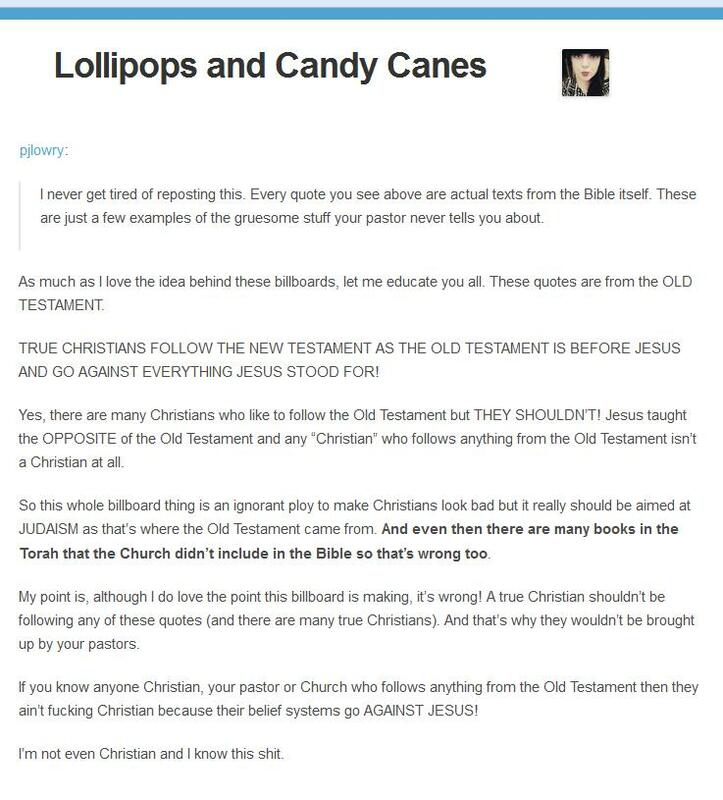 All right, this is one response I’ve been looking forward to responding to: these quotes don’t count cause that’s the old testament. 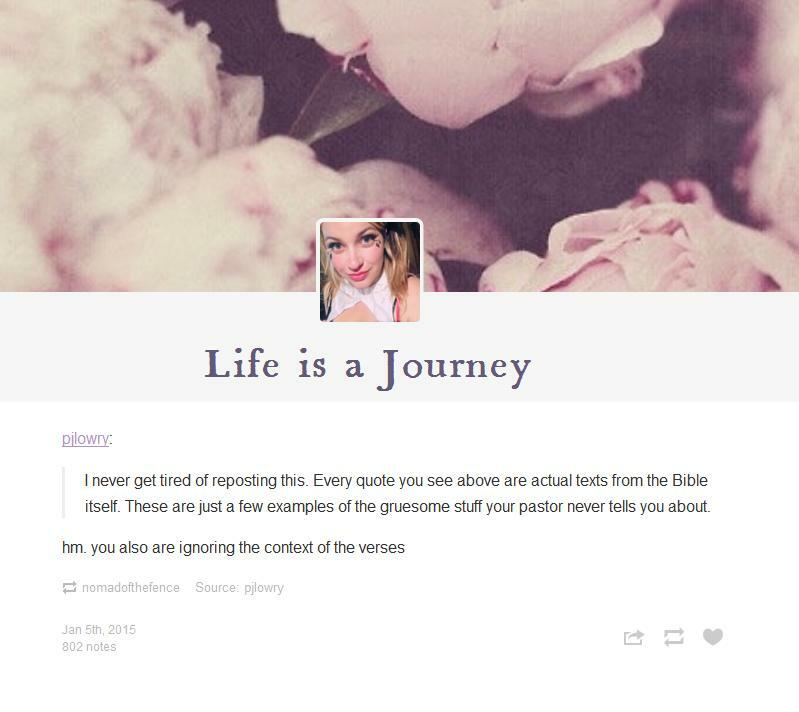 We only follow the new testament! 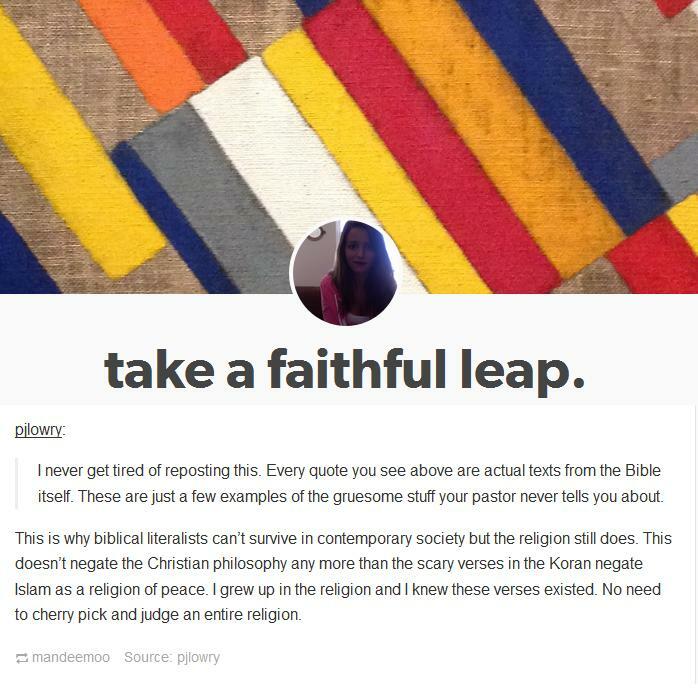 This is a very common response to quotes such as the ones posted on the billboards. I’ve heard someone try to use this argument during debates as well. Okay, now we have ourselves a ball game (cracks knuckles). 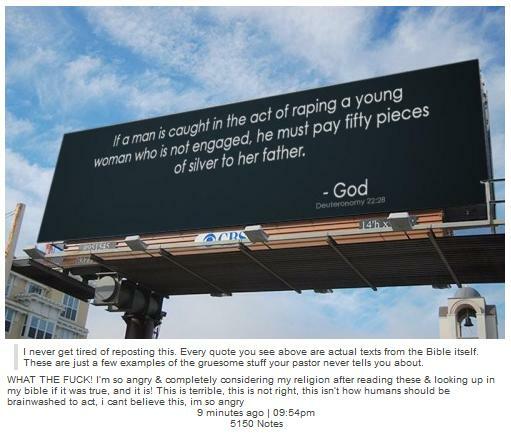 Someone made a detailed response to the billboard post I put up a few days ago and since the person made quite an effort (thank you) I will do the same out of respect for this person and their seemingly decent knowledge of the scripture. 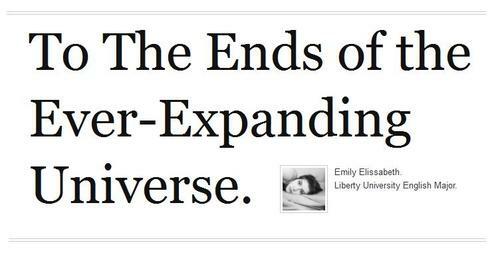 Should we be surprised that this kind of bold response came from a fellow English major? Not in the slightest. 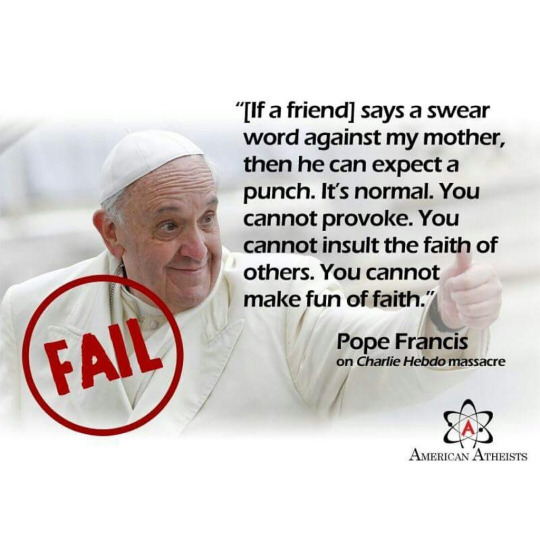 That’s the response many atheists get when we point out a very offensive part of the bible; you’re taking it out of context. What context is there that makes smashing a child’s head against a rock better? There is no context that would make that line any better. Killing children is wrong… even if God asks you to do it. 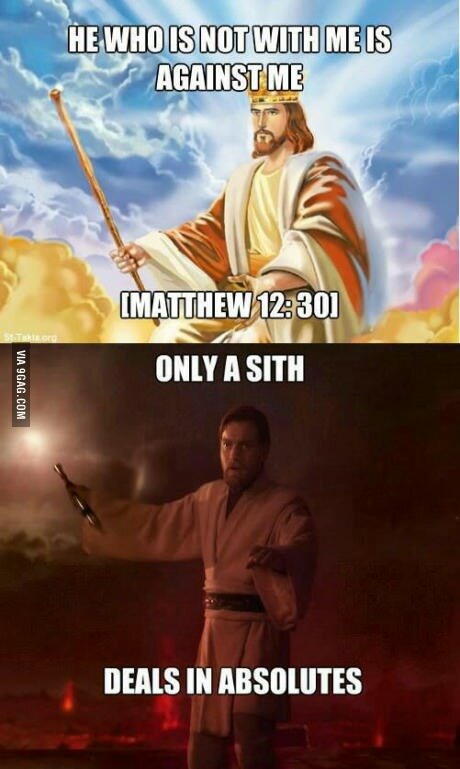 There you go… Jesus is a Sith Lord.